The first song that popped into my mind for this series was Sunglasses at Night, sung by Corey Hart. Classic 80s, my friends. Oh how I love the 80s. My three-year-old adores wearing sunglasses. When he wears them outside, he usually insists on keeping them on when he comes inside too, so I thought this would be a fun one to design for him. 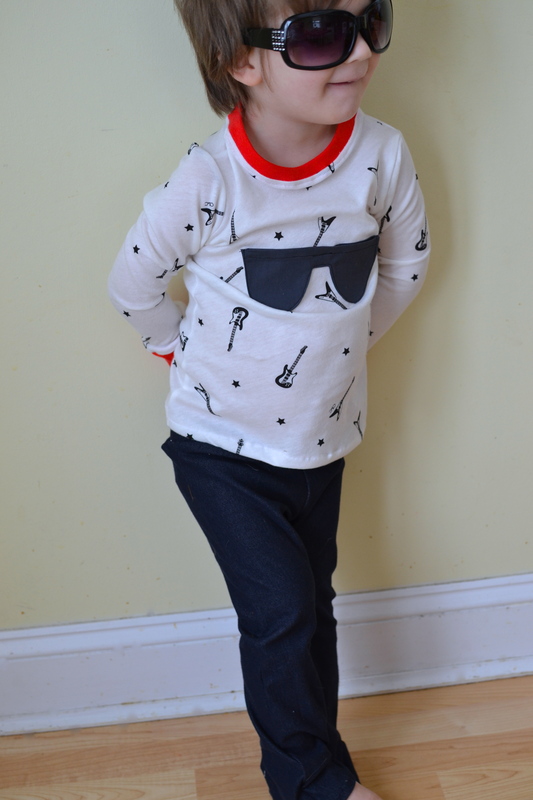 I grabbed some fun rockstar knit fabric for the shirt and added a sunglasses applique that has a little secret to it. 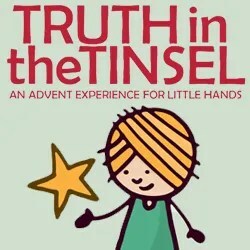 Keep reading for details on that. 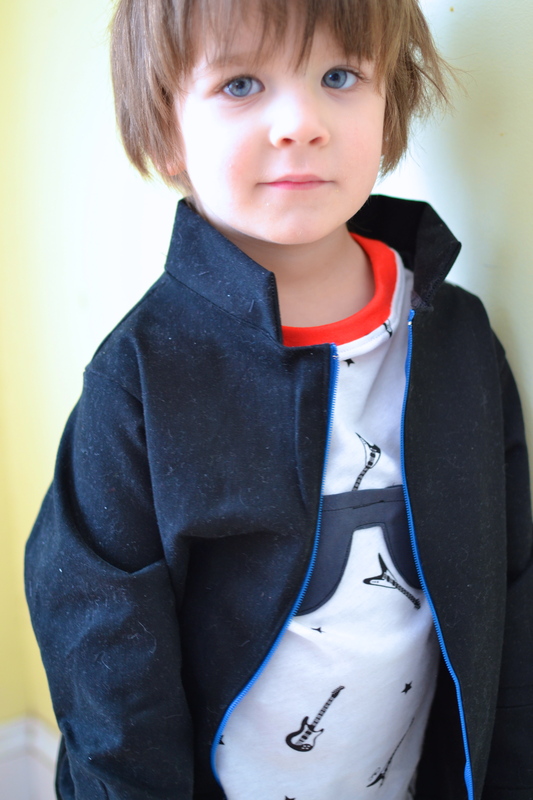 I also have a tutorial on the pants, made out of an unlikely fabric choice for a boy! 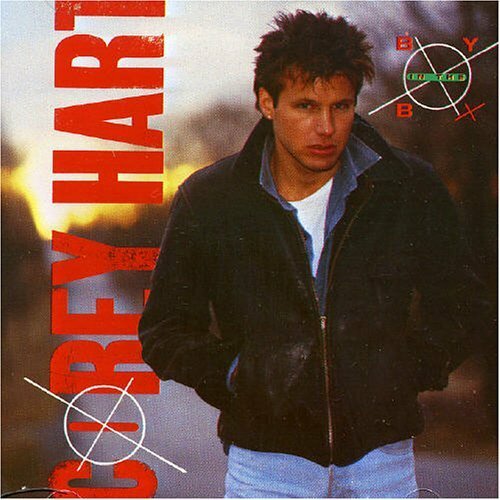 …inspired by this Corey Hart album cover. Every rockstar needs a rockin’ jacket, I say. 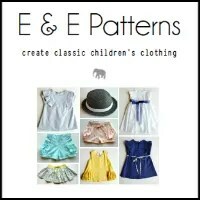 Now, a tutorial for the tee! 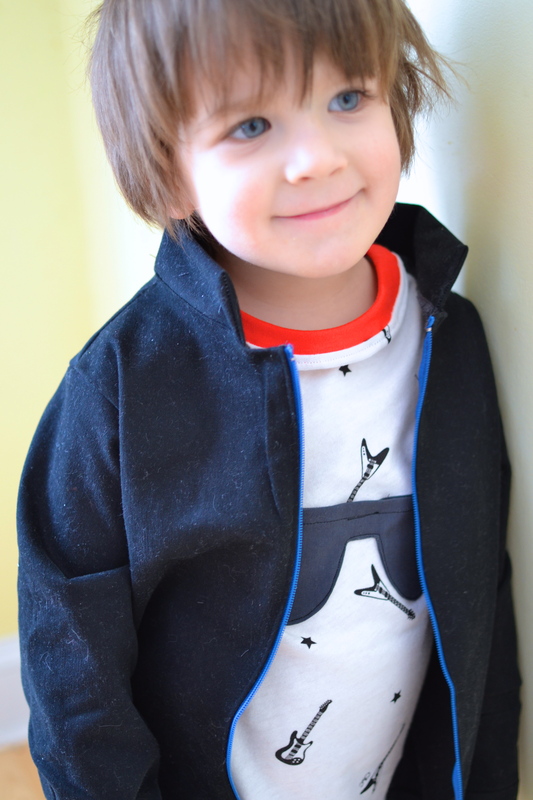 Sew up a T-shirt using the pattern of your choice (I drafted my own by tracing a tee that fits my son well). I like the look of shirts that are more fitted and have cuffs at the wrist and a matching neckband, particularly when they’re in a fun color to add a bit of pop to the shirt. 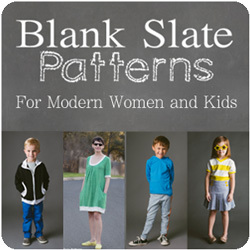 If your pattern doesn’t call for them, they’re super easy to add. 1. 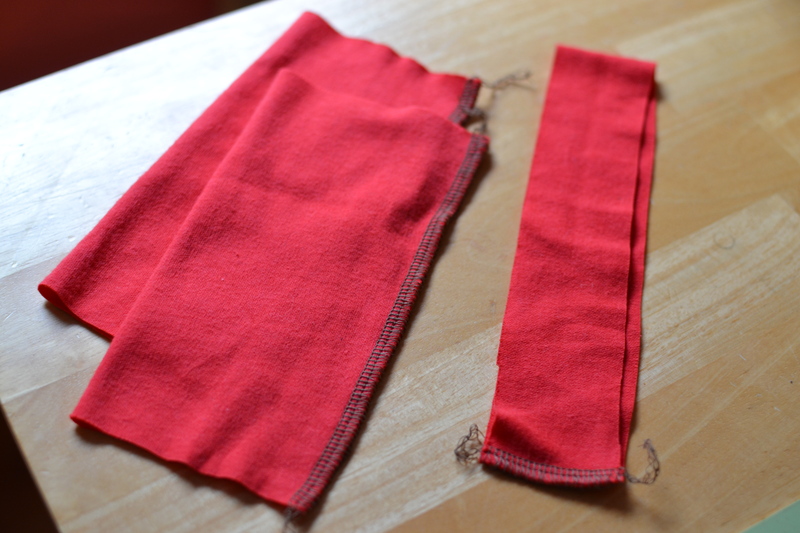 Cut two pieces of knit fabric the width of your sleeve and double the length you want the cuff to be. Mine measured about 4in. x 8in. when folded (like seen in the picture above). The stretch of the fabric should go left to right when your fabric is folded like mine. 2. 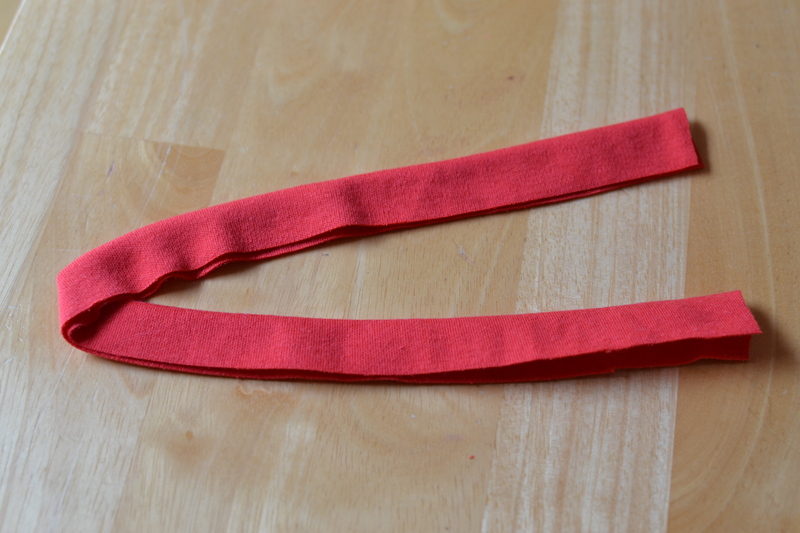 To add a matching neckband, cut a strip of fabric that is slightly smaller than your neck opening. Mine was about an inch and a half wide before it was folded. 3. 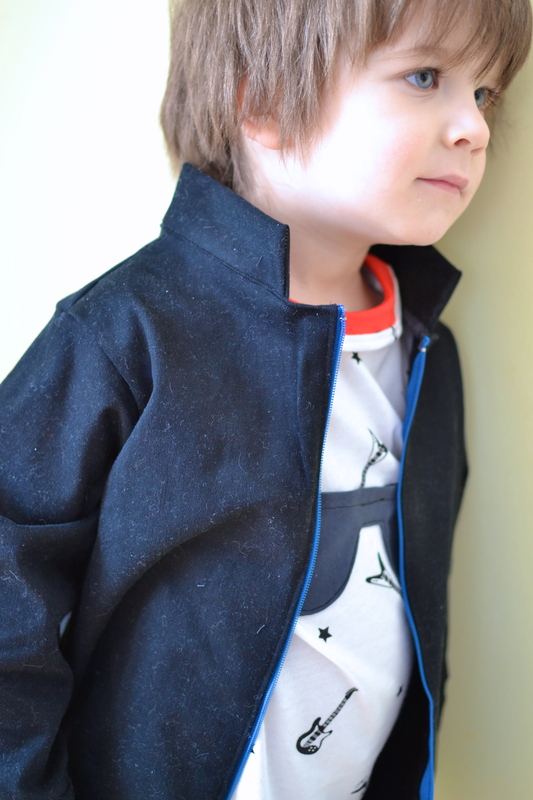 Sew up the long, unfolded sides of the cuffs and the short sides of the neckband. 4. 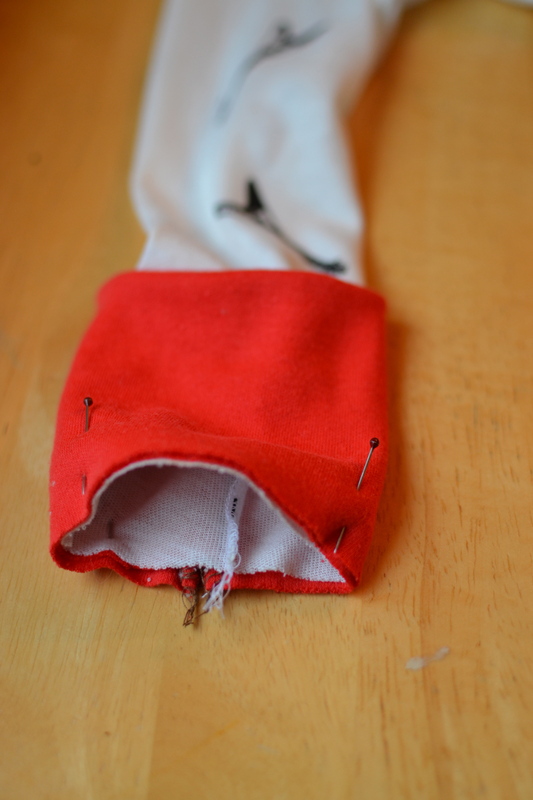 Fold the wrist cuffs so the seams are on the inside. 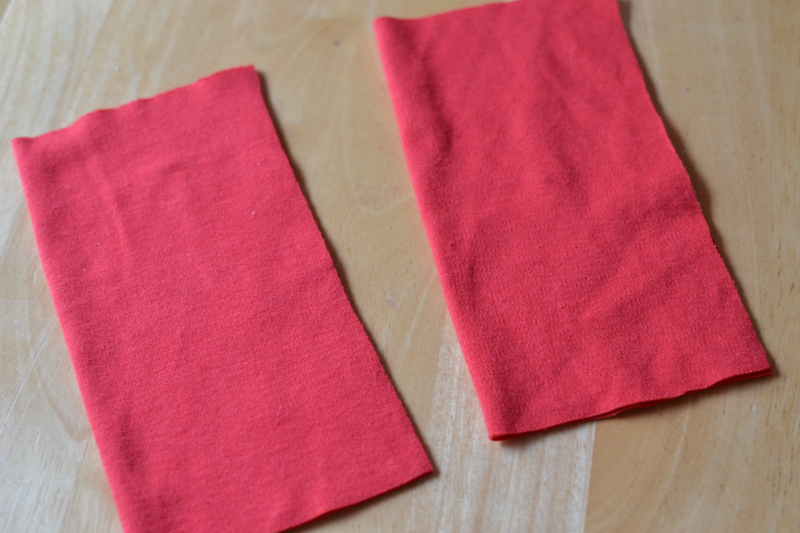 Attach them to the ends of your sleeves using either a serger or a stretch stitch. 5. 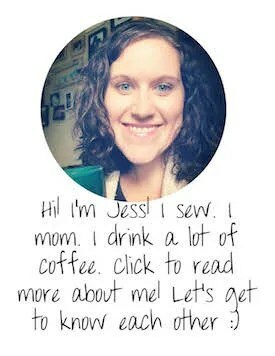 Do the same thing with your neckband. 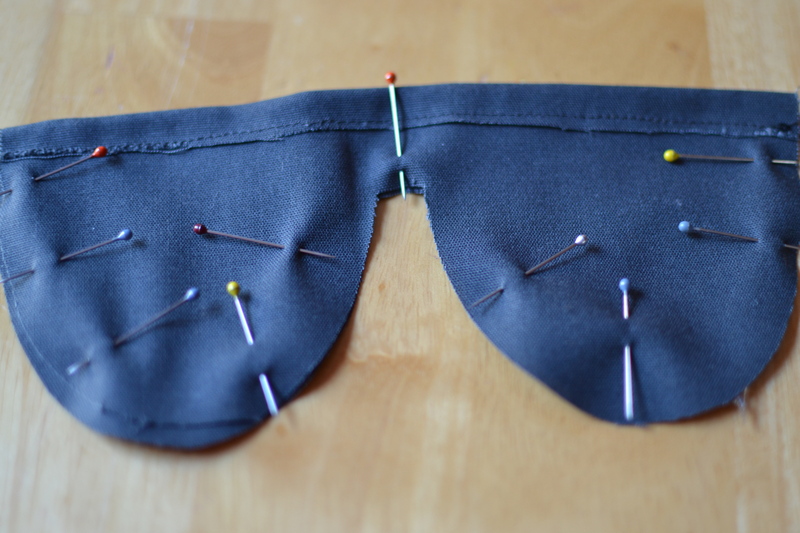 You can also topstitch over your neckband with a double needle. But wait… we’re not done yet! The sunglasses! 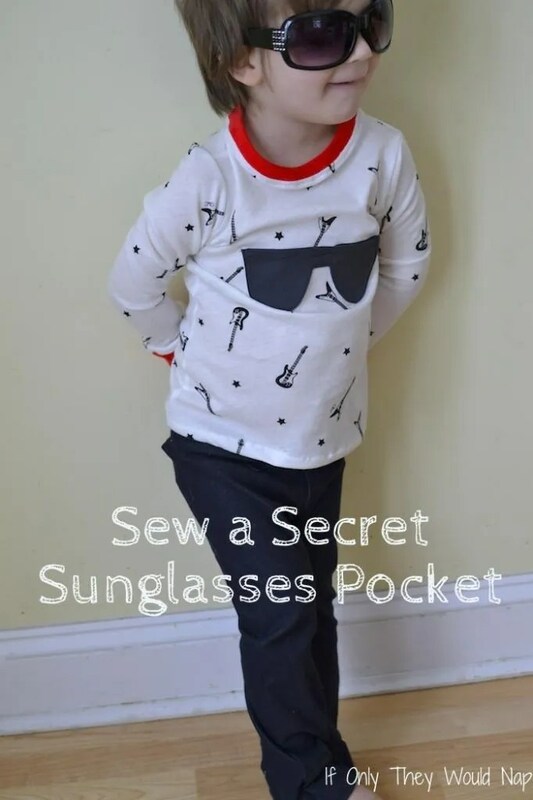 Because three-year-olds love surprises, these sunglasses also double as little pockets for holding treasures and cars and all the random things that three-year-olds love so much. 6. 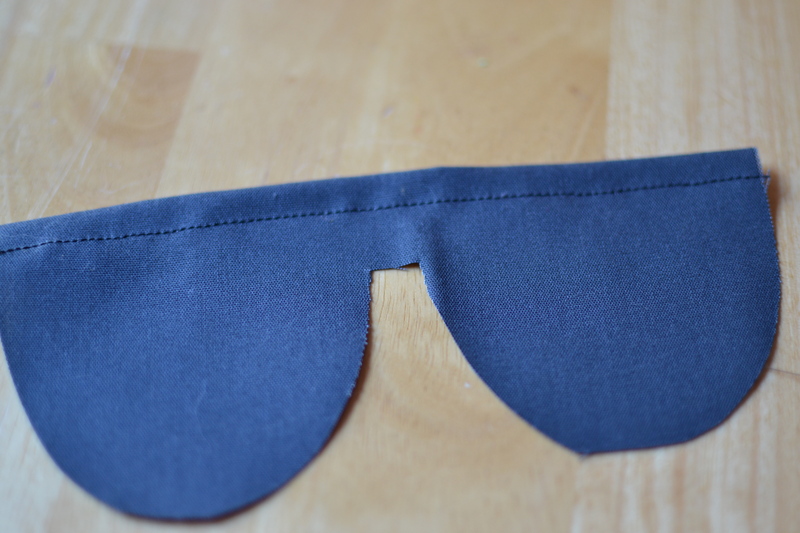 After cutting out two of a simple sunglasses shape, fold over the top edge and straight stitch it in place. 7. 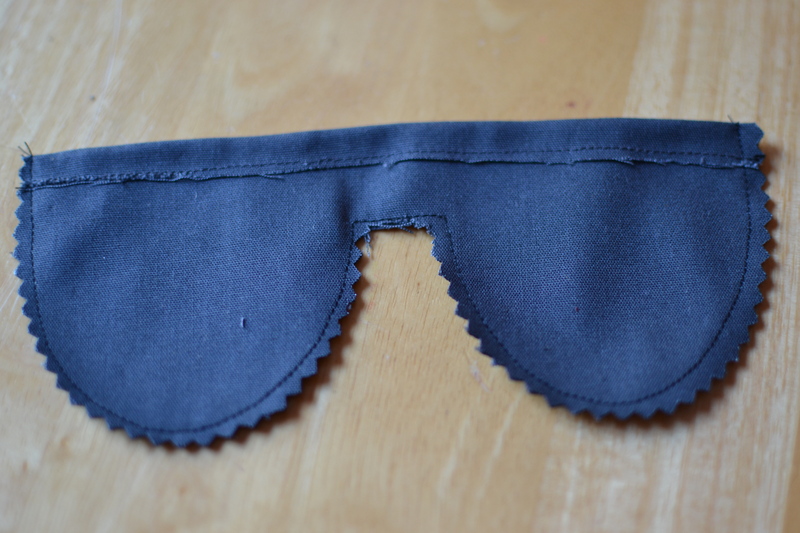 Place the sunglasses right sides together and stitch around the curved edges. 8. 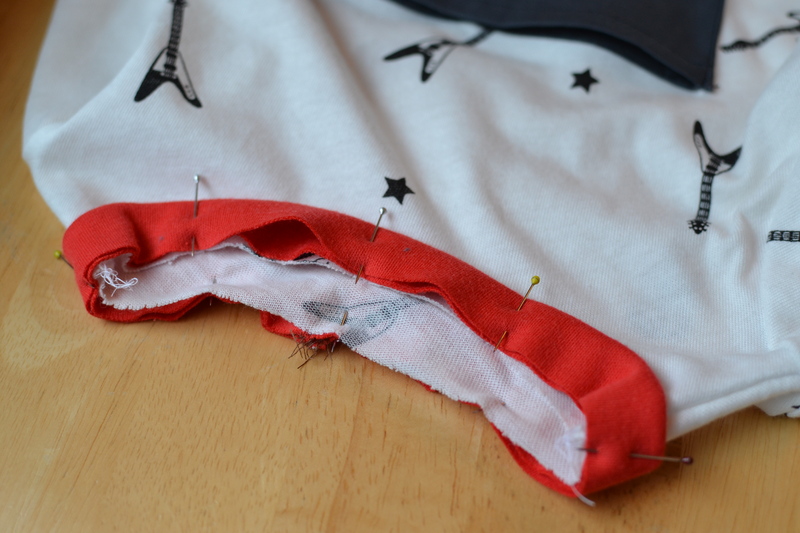 Use pinking shears to trim the seam allowance. 9. 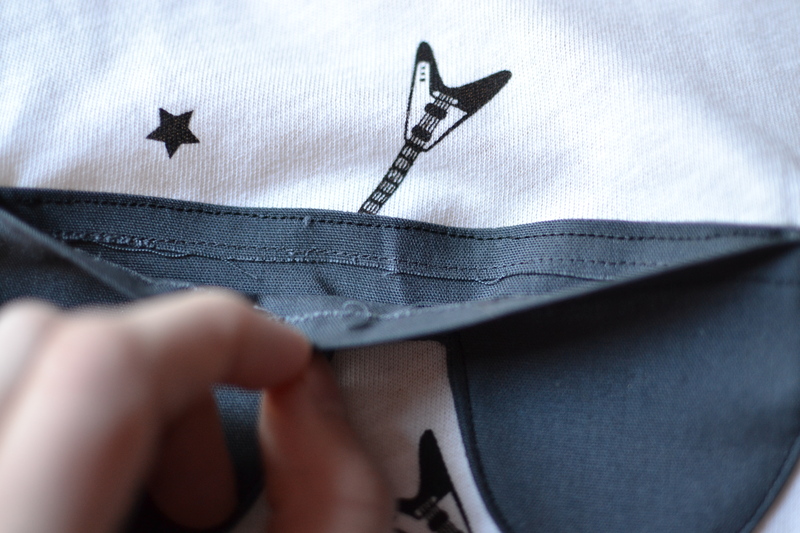 Flip the sunglasses right side out and stitch them onto the shirt, leaving the top-side open. 10. 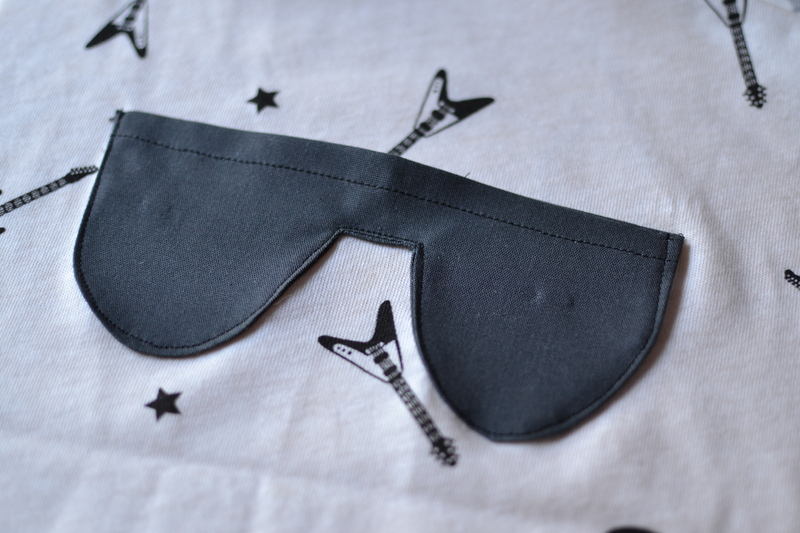 Carefully stitch down the back side of the sunglasses as well, to make your little one’s secret pocket! 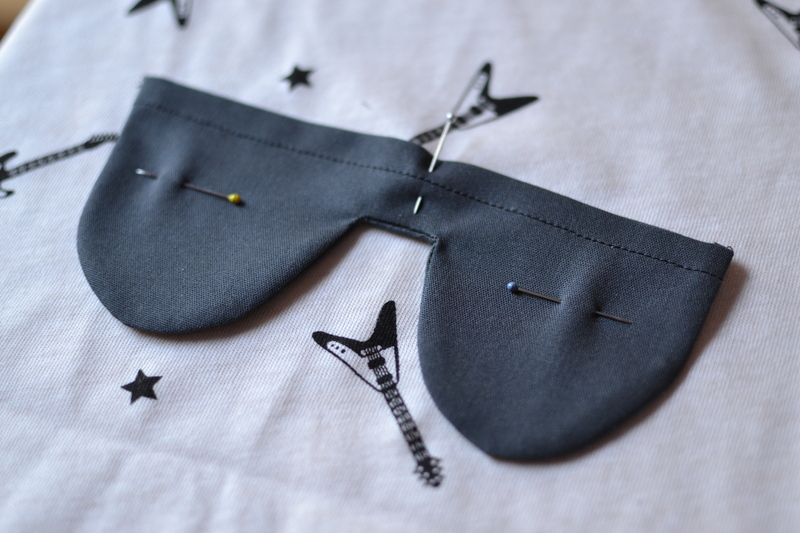 I also ended up stitching a small line in between the two lenses, just to keep the front of the glasses from flopping over when there’s something in the pocket. 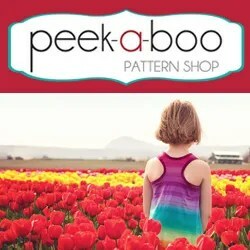 Previous postPDF Pattern Deals of the Week!